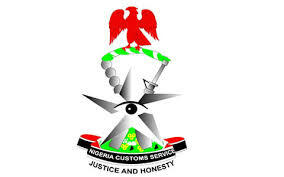 The Comptroller General of Customs, Col. Hameed Ibrahim Ali (Rtd) has approved the promotion of 1,561 Junior Officers to various ranks. The promotion which is based on the performances of the personnel at the 2016 promotion examination, annual performance evaluation scores, seniority and available of vacancies at various ranks was released after a thorough vetting to ensure strict adherence to public service promotion guidelines. 35 other Junior Personnel were upgraded as a result of additional qualifications. While congratulating the affected Officers, the CGC urged them to see their promotions as a call to higher duties especially at this time when much is expected from the NCS. He said, all affected Officers and Men of the Service must work hard to secure the borders as well as collect maximum revenue for the Government to meet the yearnings of Nigerians.